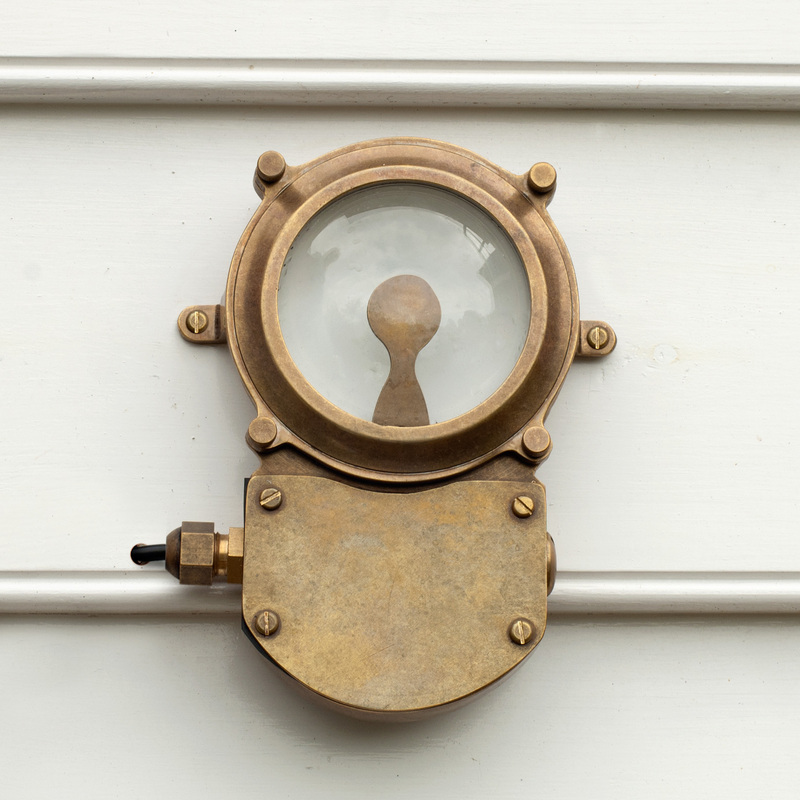 A lot of brands (ourselves included) tend to put a lot of focus on the interior of a home. This is because it’s where we spend most of our time (inside, looking out) but what about when we’re on the outside looking in, realising the exterior is looking a little tired…? This is where a conduit comes in. We have the perfect solution for transforming those drooping external wires from a nuisance into a stunning external feature. Our favourite way to light up the night is to group lights and create a glowing feature that wouldn’t look out of place indoors. There’s no reason to forsake style for function. 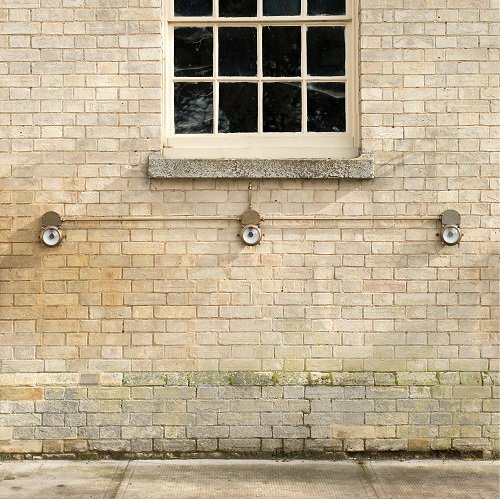 Our Antiqued Brass Conduit is a smart way to hide ugly exterior wiring, particularly when combined with our slim Doncaster Wall Light or Bulkhead Light. 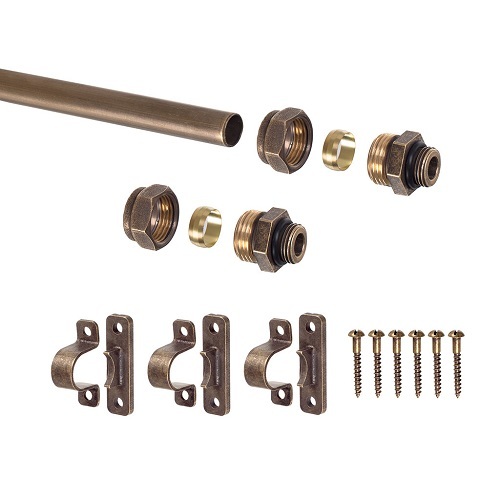 We want to make sure our conduit kits are a breeze to install, so here’s an easy “how-to” guide to assembling your own. An RHS Garden Product of the Year finalist, the Bulkhead Light is a respectful nod to old ships lighting with a caged, modern twist. Made in solid brass and fully non corrosive, this handsome light will shine no matter what the lovely British weather throws at it! The Doncaster LED Light is suited to the smallest of outdoor spaces, but with no shortage of design detail. With an overall depth of just 5.4cm it would sit neatly in even the narrowest of spaces. A solution for even the most challenging space… simply add any of the following items to create the perfect industrial conduit solution. Our conduit kits give you the chance to be creative with your outdoor lighting. 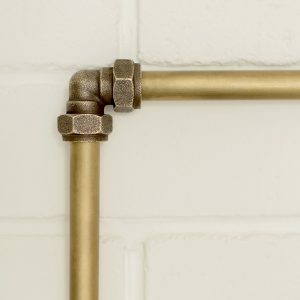 The antiqued brass poles can be cut to size for your convenience, but we offer a 1m or 2m kit to purchase. 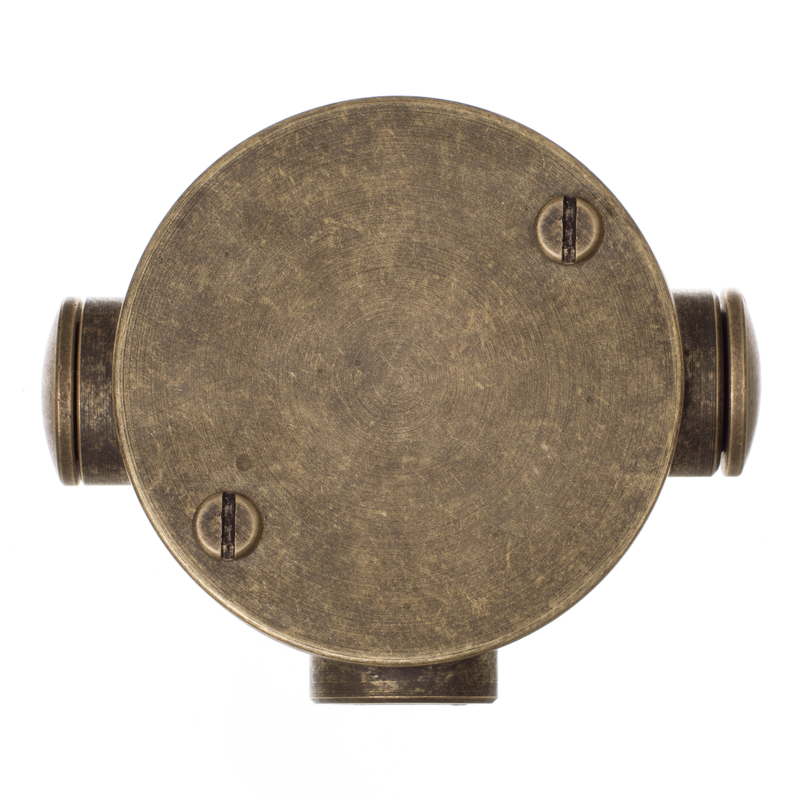 If you are looking to group your lights as above, the Junction Box is a neat answer to even more wiring and a perfect antiqued brass finish to match your kit. Please note that we always recommend you fit your lights using a qualified electrician. However, there is no harm in getting to know the tips and tricks behind the conduit so you understand exactly how wonderful this kit really is! If you want to install your new lighting in a problematic area – do not fear – this is all made possible by the conduit elbow. These joints allow your electrician to fix the poles up, down, across and around corners. This means your can achieve whichever look you are after with ease. We all know the British weather can be temperamental, so we have ensured the conduits are completely safe. This all comes down to the olive. No, not the pitted kind, but a small ring inside the joiners which is crushed on fixture to ensure a watertight seal to protect the precious wiring. TIP: If you require additional couples and joiners our helpful sales team are happy to advise. Once you and your electrician have followed the above steps, you are ready to illuminate your home: Jim Lawrence style. If you still have any questions don’t hesitate to call up our knowledgeable customer service team on 01473 826685 and they will happily walk you through the process. We would love to see any pictures of your completed conduits! Tag your images on Instagram or Twitter with #JimLawrenceMade or email to press@jim-lawrence.co.uk.so we won’t miss out. 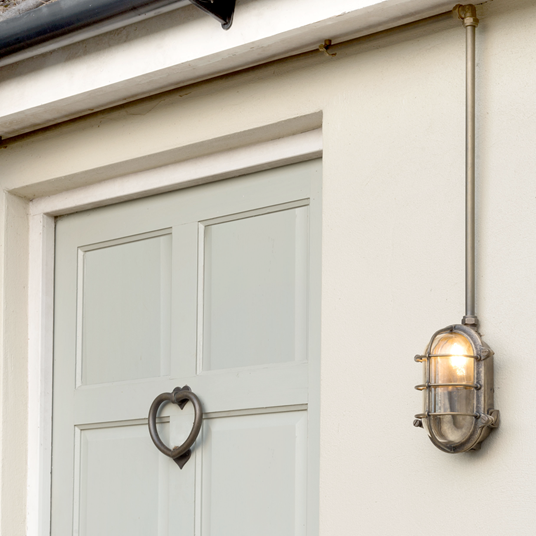 Why not take a look at our full range of exterior lighting and door furniture to add the finishing touches to your outdoor design.